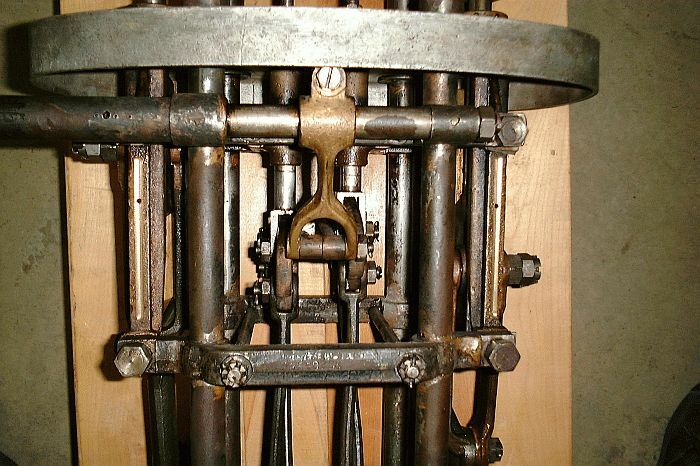 This close up details the Stephenson Valve Linkage. 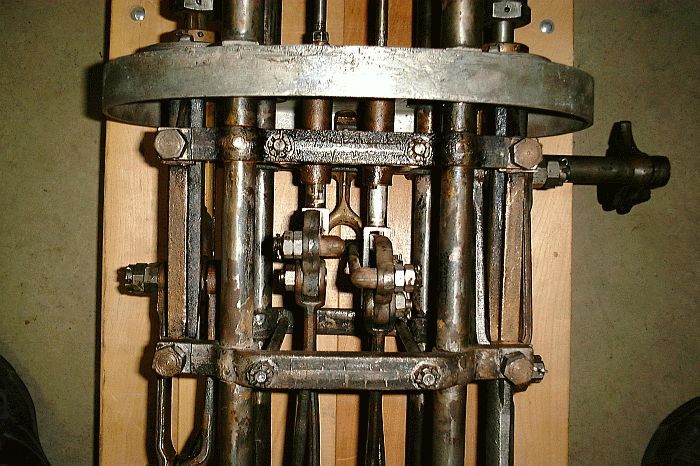 In the center of the picture are the four link rods. 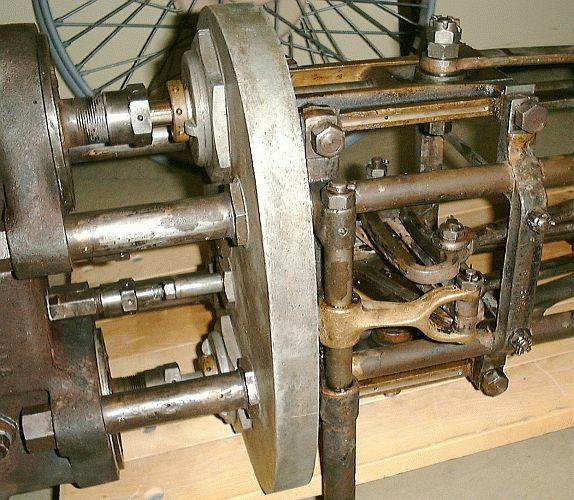 The links are attached to the brass casting at the top center of the photograph which moves the links up or down depending if the engine is to run forward or reverse. This photo is looking directly down on the valve gear. 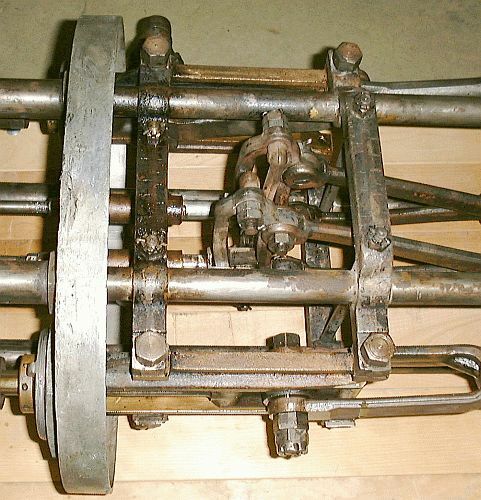 This photo is looking directly up at the valve gear. This photo is looking up at the valve gear from under the engine. The two links, one for each cylinder, are visible at the center of the photo. 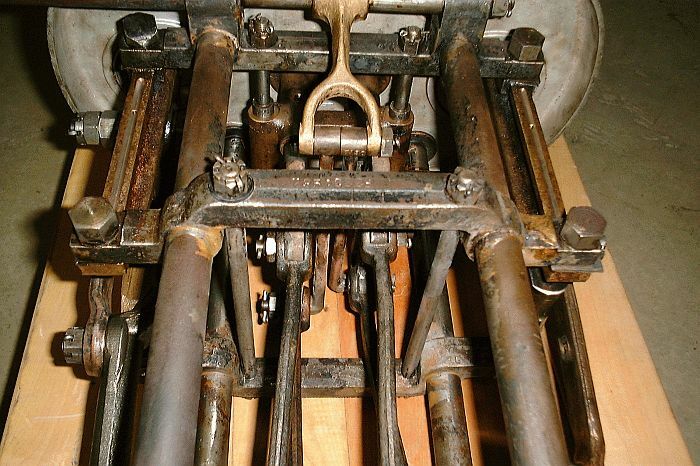 Another photograph, from the upper right of the engine, shows the Stephenson Links and their connection to the link rods. 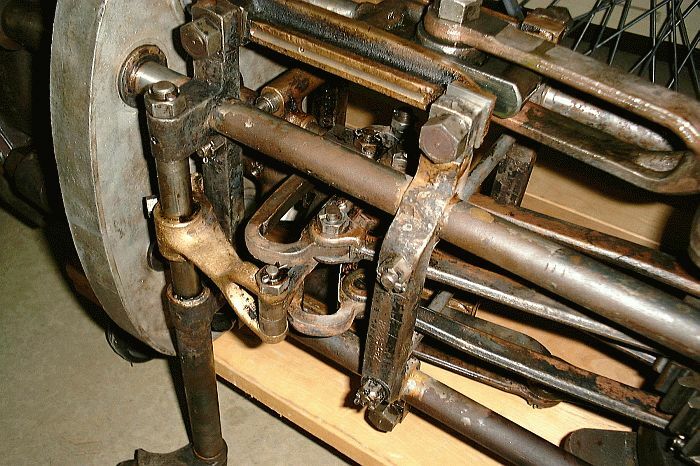 This photo shows the valve gear along with the valve rods.